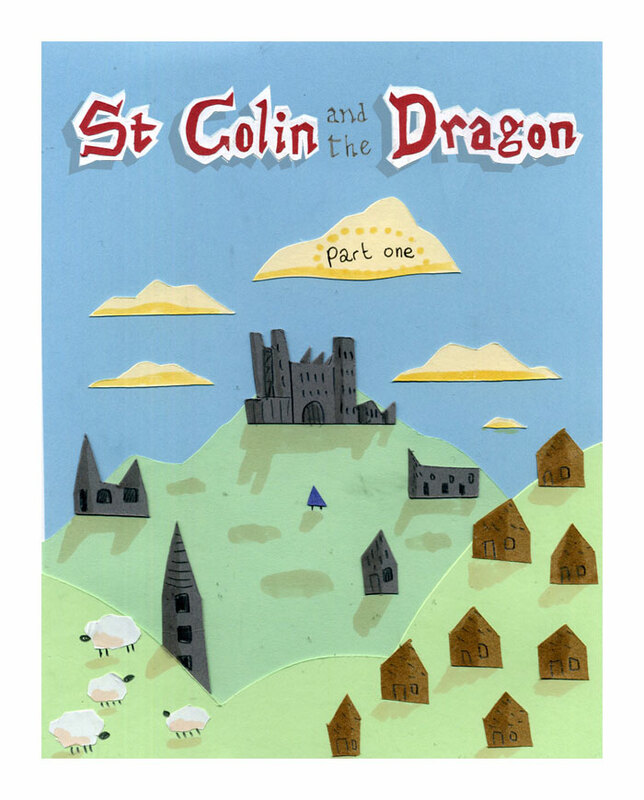 St Colin and the Dragon begins tomorrow! Yay! I really want to see it! was the title drawn or cut and glued? A bit of both! I certainly didn’t cut out the “and the”. Might those be THATCH-ROOFED COTTAAAGES? !